There are plenty of fun activities you can participate in when you are with your kids in MO. In case you didn't know about them look through our in-depth guide so the next time you are in Missouri you will have plenty of fun activities prepared for your kids! 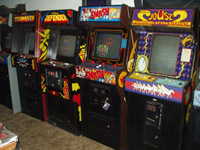 From zoos to arcades, we have them all! Spend the day looking at the many different kinds of animals in the sea at one of these MO aquariums. 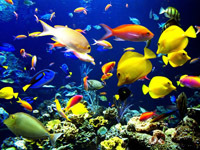 When you visit one of these aquariums in Missouri you will have a fun filled day that you get to share with your kids. So what are you waiting for? Read through our list of the best aquariums in MO! If you want to spend the day with your kids at an MO arcade, you need to look through our complete list of the best Missouri arcades. Make sure you visit these arcades in MO! For those of you that have a sweet tooth, make sure you check out our detailed guide to the best candy shops in Missouri. 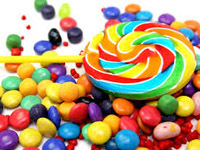 You will find a complete list of all of the best MO candy shops. For those days when you just need some sugar visit one of these Missouri candy shops! Family Fun Centers in MO are great for taking the kids for a day of fun and laughs. See our complete list of fun kid's play places in Missouri. Plan your next day trip to take the kids to a Missouri family fun center. We have a complete list of Day Care centers in Missouri. Find the best place for your kids to be while you are working. Missouri child care is important when working parents want to be sure their kids are safe and happy during the day. Missouri is a great place for water parks. Kids will have a large amount of fun at these water parks. Experience the thrill by visiting some of the attractions we have to offer. 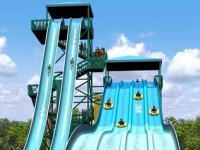 See our list of the best water parks in Missouri. Are you looking for the best zoos in Missouri to go visit? Look no further! We have a detailed guide of the best MO zoos. 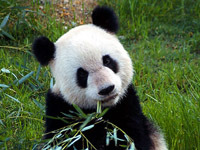 If you are looking to spend the day seeing the beautiful animals that inhabit the Missouri zoos let our list help you find the best places to go.